FULTON, NY – William B. Conners, 81, of Fulton, passed away on Wednesday, December 5, 2018, at St. Joseph’s Hospital in Syracuse after a short illness. He was born on July 4, 1937, to the late Frank and Shirley Snyder Conners and was a lifelong resident of Fulton. 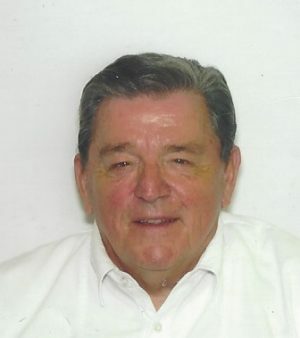 Bill graduated from Fulton High School in 1955 and attended the State University at Oswego obtaining a bachelor’s degree in industrial arts, a master’s degree in education and a certificate of advanced study in administration and supervision. He also completed certification for superintendent of schools in 1972. Bill was employed at Liverpool High School as a teacher, supervisor and high school principal, retiring in 1995 after 35 years of service. He was a member of the NYS Retired Teachers Association and the NYS Secondary Administrators Association. Bill was a lifelong member of the Fulton Polish Home and a former 35-year member of the Fulton Lions Club where he had served as president and was responsible for the creation of the “Lions Loot Sweepstakes” fundraiser. While a member of the Lions Club, he received numerous awards including the Melvin Jones Fellowship Award, Lions International’s highest service award. Bill had been an active communicant of St. Michael’s Catholic Parish in Fulton, serving on many committees. He enjoyed golf, fishing, boating and woodworking. Surviving are his loving wife of 56 years, Elaine Niegos Conners of Fulton; a sister, Patricia Wardhaugh and sister-in-law, Geraldine Gilliland both of Fulton; a cousin, Connie Dasans of Fort Mill, SC; and several nieces and nephews. Calling hours will be held from 2 to 5 p.m. on Sunday, December 9, at Foster Funeral Home, 910 Fay St., Fulton, NY. Services will be 10 a.m. Monday, December 10, at the funeral home, with burial to follow at St. Mary’s Cemetery in Fulton. Contributions are encouraged to the Oswego County Humane Society (S.P.C.A. ), 29 Seneca St., Oswego, NY 13126 in Bill’s memory. We are saddened by the passing of Bill.He was a excellent member of the Lion’s Club and a good friend. Sorry to hear of Bill’s passing, he was a dedicated member of the Lions Club for many years. He founded the Lions Loot event which allows the Lions to do so much good in the community. My condolences to Elaine and Bill’s family.